The USB-COMi-M adds one RS-232 RS-422 or RS-485 serial port by connecting to a USB port, 6-pin terminal block and a DB9 male connector are available for optimal flexibility for serial connection. 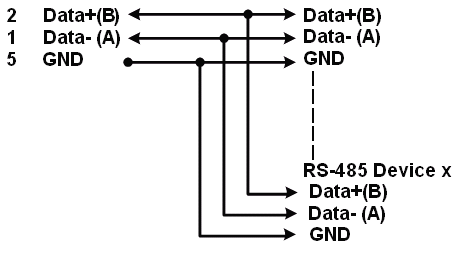 Supplies power output of 5V/150mA through pin-5 of the terminal block to serial device. Uses Terminal Block connection to supply voltage and current to device. Signal mode switching is done using DIP Switch control. For use with Factory Automation, Bar Code Scanners, Time Clock or more applications. provides a solution requiring single node or multi-drop communications over short and long distances. The USB-COMi-M USB to RS-232 / 422 / 485 Serial Adapter is designed to make quick and easy serial port expansion in a commercial or industrial environment. 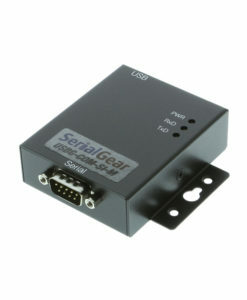 Using your computer’s host USB port or an active USB hub connection, the USB to Serial Adapter instantly adds an RS232, or RS422, or RS485 serial communication port to your system. 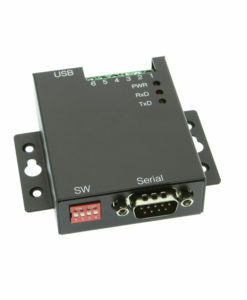 The USB to RS-232 Serial Adapter is designed with easy mode switching via DIP switch and installs using Plug-and-Play features with hot plug functionality. The adapter is powered by the USB port and no external power adapter is required. The adapter is designed with an external 4-pin dip switch to set RS-232, RS-422 or RS-485 mode conveniently, without the need to open the metal chassis. Both a 6-pin terminal block and a DB9 male connector are available for optimal flexibility for serial connection. 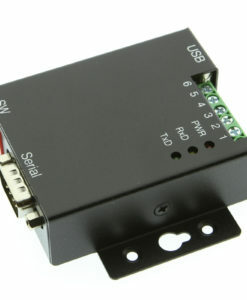 This USB to RS-232 / 422 / 485 adapter also provides a unique feature of supplying power output of 5V/150mA through pin-5 of the terminal block to serial device and is with DIN rail bracket for industrial environment. Termination and biasing options are available for data transmission lines. 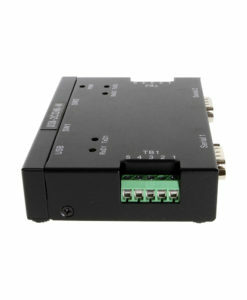 The USB-to-RS-232 / 422 / 485 Adapter provides instant connectivity to RS-232, RS-422, RS-485 communication devices for POS, factory automation equipment, multi-drop data collection devices, bar code readers, time clocks, scales, data entry terminals, PC to PC long distance communications, ATMs and serial communication in harsh environments. The USB-COMi-M USB to Industrial I/O provides industrial solution requiring single node or multi-drop communications over short and long distance. The USB to RS232 selectable adapter has certain accessories that work with it. These accessories are what you can order if needed.